A service agreement is often used to define the terms between a business and their customer in regards to the services being performed as well as its approval by the customer. While this can begin and end when the contractor fulfills their customer’s service needs and has been compensated, one can receive an agreement that extends beyond the initial service and schedule routine checkups as necessary. The long-term solution for most HVAC problems involves focusing on how to prevent an issue rather than addressing it when it first transpires. With a planned maintenance service agreement, you will never have to worry about any part of your HVAC system suddenly breaking down. Our expert technicians will regularly inspect your system’s condition and quickly resolve any problems it may have to ensure it is in top form for as long as possible. We already have so many daily priorities besides an annual HVAC system check. That’s why one term of our service agreement is to provide convenient reminders for our customers, either by calling or sending a message by mail. With Argent Heating & Cooling, we are devoted to ensuring your HVAC system is always in the best condition and that we are flexible enough to fit into your schedule. A service agreement with Argent Heating & Cooling means much more than simply having a technician coming around every few months to check on your HVAC system. Our business is driven by satisfying every client’s needs, especially among our service agreement customers who receive preferred pricing and scheduling for each of our services. While most other clients hire us when we’re needed, we are happy to develop close relationships with our service agreement clients since they get us in touch with homeowners that also appreciate and require quality routine maintenance services. More often than not, our service agreement clients will ask for a specific technician of ours by name. This shows how much our regular customers trust in our team’s persistence in providing the best service possible. By signing up for a planned maintenance service agreement, our team at Argent Heating & Cooling will ensure your satisfaction is met during every scheduled visit. 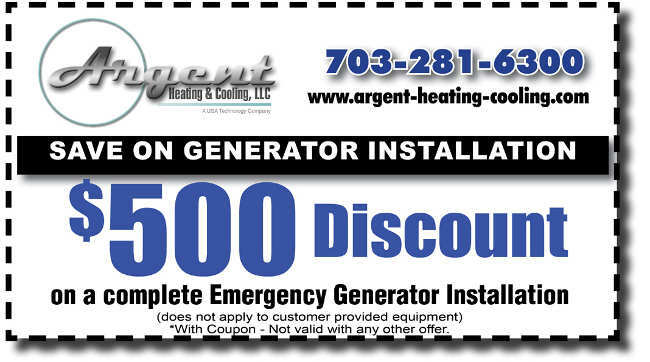 Argent Heating & Cooling is a service company that thrives on the grateful remarks of our customers, which is why we have dedicated over 30 years to providing the best service possible to the Greater DC Metro and Northern Virginia area. We prove this through our excellence in a variety of home services, including planned home maintenance service, indoor air quality evaluations, as well as appliance installation and repair. Our team will help provide the home maintenance services you need at a time that is most convenient for you. Contact us today at 703-281-6300 for any of your HVAC needs or concerns.